Moonshot Medicine: Who Can Afford It? The medical research community now talks of moonshots (big leap-forward cures), regenerative medicine, precision individualized medicine, even one-time complete treatment cures. It is all part of the 21st Century Cures Act, which spreads $4.8 billion of research funding in an attempt to accelerate the development and approval of real cures. But will this Herculean effort bankrupt insurance pools? The money is being directed toward expensive pharmacological cures that will further burst the Medicare Trust fund. Gobs of federal money are going towards innovations, like CRISPR gene therapy, that intends to completely remedy single-gene mutation diseases like cystic fibrosis, sickle cell, Huntington’s disease, and muscular dystrophy, all cured in a single treatment. But at what cost? The rationale is that pharmaceutical companies need to earn a payback on their investment. The big insult is why private and governmental agencies give license to over-priced medicines when the costs of research and development are born by the public? An example is a drug to cure hepatitis C that was largely developed with public funds but its patents rights were assigned to private entities. None of this talk about cures really allows less expensive cures to ever get anywhere. For example, news headlines speak of a high-tech cure for beta thalassemia, a blood disease where there isn’t enough hemoglobin to transport oxygen in red blood cells. In what is being billed as “the world’s first genetically modified humans,” an expensive stem cell treatment to cure this blood disorder awaits final human testing. 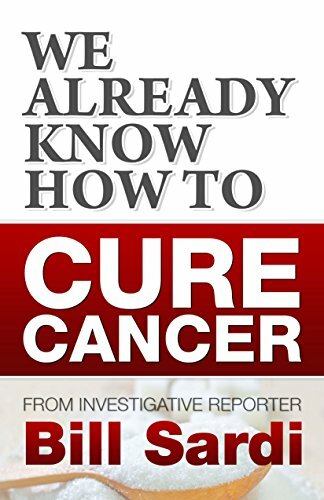 But this reporter uncovered a far less expensive treatment that completely cured thalassemia 52% of the time. Resveratrol, a red wine molecule, had already landed on the moon before researchers launched their historic “moonshot” gene modification cure. We Already Know How to... Bill Sardi Check Amazon for Pricing. But the FDA is only giving lip service to the idea of affordability. Big Pharma is in no mood to cooperate. For example, there is a gene therapy cure called Luxturna that just gained FDA approval for an inherited eye disease that will cost $425,000 per eye ($850,000 per patient). It would cost $5.1 billion to treat the estimated 6000 patients in developed countries with this inherited eye disease. Drug companies come up with these exorbitant prices by factoring the life-long cost of symptom treatment against their one-time cure. Of course, isn’t the ethical mission of modern medicine to put itself out of business? If one-time treatments truly cure, insurance premiums should drop, not unceasingly rise, which is the current situation. However, what is ethical may not be perpetually profitable. A Goldman Sachs analyst says company X “is an example of a company that has already suffered financially from curing patients. The success of the company’s hepatitis C franchise… “has gradually exhausted the available pool of treatable patients. That shrinking customer base, coupled with tough competition from competing drugs, forced company X to forecast hep C sales for this year of no more than $4 billion—falling short of analysts’ estimates of $5 billion.” Company X sales of its hep-c cure peaked at $12.5 billion in 2015. Yep, drug companies are “suffering,” not the patients. Will the public even want these cures? Can modern medicine jam expensive cures down the throat of patients who surprisingly may not want them? A survey of 5000 people with wealth of more than $1 million, conducted in ten countries, shows the majority of these millionaires expect to live to be 100. But less than a third of American millionaires expect to live that long with 70% saying they are concerned about rising health care costs. Half of Americans want to live to be at least 100 but only 30 percent thought they actually would, compared with 53 percent worldwide. In America, where wealth equates with longevity, the richest one percent live 15 years longer on average than the poorest one percent. 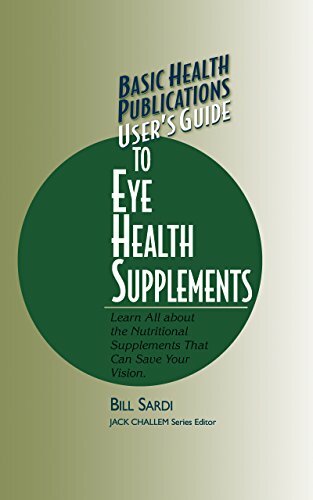 Useru2019s Guide to Ey... Bill Sardi Check Amazon for Pricing. When asked why they were skeptical of living to be 100, almost all Americans said it was because they were realists and half said that they didn’t think healthcare would be advanced enough. They are in for a surprise. Little does the world know an unforeseen technology, affordable to most people in developed nations, is about to be announced that would increase the human healthspan and lifespan by up to 270%. Remarkably his technology exceeds the lifespan/healthspan doubling effect of calorie restriction upon which many proposed anti-aging pills are designed. Human data corroborates the findings in the animal lab. The manuscript describing this unprecedented leap forward is now undergoing peer review. If everything proceeds on schedule it will be published in June of 2018. How will the world react to such a development? While Wall Street wrestles with how to produce sustainable profits with its one-off cures, expensive cures will not be needed. The grip that modern medicine holds over the public will be broken. It will be health and longevity on the public’s terms rather than on the terms controlled by the healthcare industrial complex. I recall a similar giant step forward in the field of electric energy when Nicolas Tesla discovered free energy could be captured from the atmosphere. But banker J.P. Morgan scuttled further funding of Tesla’s research because it wasn’t profitable. ‘The idea of living to 100 would have seemed absurd up until recently. Now, it’s destined to become commonplace,’ Nick Tucker, Head of UK Domestic at UBS Wealth Management, told Reuters. Mr. Tucker said that without knowledge of the ginormous moonshot mentioned above that is about to become reality. Fasten your seat belts. Humanity is on the cusp of an advance no one could have imagined. Just what will the FDA, National Institutes of Health and Big Pharma do when they find they can no longer continue to hold a grip over humanity and how long humans live?